Corns and calluses are caused by pressure and friction on the skin and can make even simple things like wearing shoes and walking very painful. 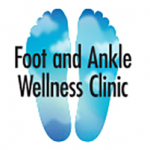 At Foot and Ankle Wellness Clinic, Dr. Mancherian offers a comprehensive array of treatments for corns and calluses to help patients in Los Angeles and Glendale, California, relieve painful symptoms, regain pain-free walking and prevent recurrence. What is the difference between corns and calluses? Both corns and calluses are areas of hardened skin that form as a result of increased friction or pressure. Corns can occur on the toes or between the toes and calluses occur on the bottoms or sides of the feet. Corns and calluses can have a core or central portion, that is usually deep in the skin, deeper than the surrounding tissue, and can be a source of significant pain. Corns and calluses can cause pain when walking, which in turn, can cause changes in the way a person walks. Over time, these changes can result in foot, ankle and knee pain, and can even cause pain the hips and lower back as well as contributing to balance issues. These areas can also be deep enough to create wounds and set up a person for infection. Corns and calluses need to be treated using professional techniques to eliminate them safely and without increasing the risk of infection. Deep or painful calluses and corns must be medically debrided to remove external build-up and to eliminate the internal deep core. This is most often a painless procedure. Custom orthotics play a major role in treating calluses by redistributing weight and addressing gait issues that may be causing pressure points or friction. Proper choice of shoewear is also helpful in addressing problematic corns and calluses. Dr. Mancherian has an exclusive treatment using medical-grade fluid silicone to limit or eliminate corn and callus development. Can corns and calluses be prevented? Corns and calluses can often be caused by footwear that is too tight, too loose or otherwise do not fit properly. Many mild corns and calluses can be prevented with a change in footwear to help prevent friction that can cause hard tissue to form. Other times, corns and calluses are related to the shape of the foot or to gait issues that result in increased pressure and friction. In these cases, wearing custom orthotics is often the best way to prevent the formation of corns and calluses. Having these conditions treated at the first sign of pain or when thickened skin first forms are the best way to ensure the most appropriate treatment is applied. Fluid silicone is a safe, effective treatment offered in the office setting in order to address pressure-related foot pain for long term benefit.